Flexi, 9 x 10.75 in. / 280 pgs / 137 color / 17 bw. 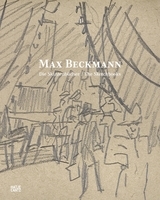 Though he is perhaps more commonly associated with the city of Frankfurt, where he held a teaching position until he was dismissed by the National Socialist regime, German painter and printmaker Max Beckmann (1884–1950) spent many formative years in Berlin. He lived in Berlin as a young artist during his Expressionist period, between 1904 and 1914, and again between 1933 and 1937. 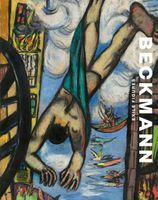 Even during his Frankfurt years, Beckmann often traveled to Berlin and remained an active presence in the Berlin art scene, which he had helped to establish. 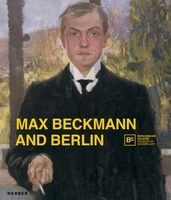 Max Beckmann and Berlin is the first publication to examine the importance of Berlin to Beckmann’s formation and work as an artist. 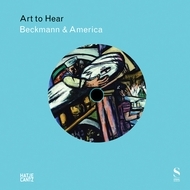 In addition to presenting work Beckmann created while living in Berlin, this volume also includes pieces which reference the city in subject matter and works which were shown in major Berlin exhibitions. FORMAT: Flexi, 9 x 10.75 in. / 280 pgs / 137 color / 17 b&w.